Most water heaters are designed to optimally perform for about eight to ten years and while some will last longer based on factors such as the quality of installation, location and the heater’s design, you will likely have to replace the unit after ten years – for safe measure. The good thing is, it will actually give you some warning before breaking down completely. In most cases, you are likely to come across leaks around the tank’s base or perhaps, recurrent problems with the unit’s element. In short, Water Heater Repair in Paradise Valley, AZ would be in your best interest once the life expectancy of your unit elapses. Most homeowners actually shy away from replacing their old heaters just because they think it was designed to serve a lifetime. On the contrary, these heaters actually come with a lifespan as stated earlier. However there are a number of common defects that can be easily solved by a professional water heater repair technician. Topping the list of common heater issues is when you turn on the shower, but the water isn’t as hot as you would want it to be. If this is the case, chances are your thermostat is caving in or if not, the heating element needs replacement. It is actually one of the easiest problems to solve and in fact, you can fix it with a little DIY skills. Another common problem that may warrant you to call in a water heater repair technician is a leaking pressure-relief valve. In most cases, you will certainly have to replace the valve altogether when this happens. 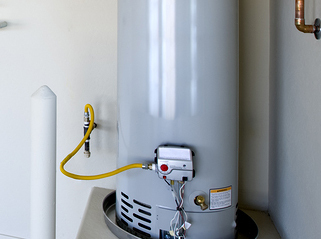 In short, a water heater can be easily fixed by a Water Heater Repair in Paradise Valley, AZ professional. However, it is time to let go when the problems are just too much to bear.